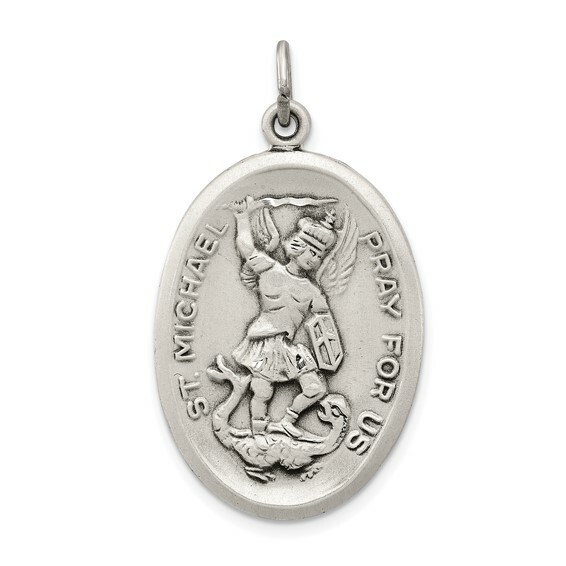 Sterling silver St. Michael medal. Weight: 6.55 grams. Measures 1 inch tall by 11/16 inch wide without bail. Patron saint of policemen and radiologists. Chain not included.